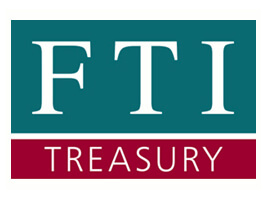 Financial Treasury Investments (FTI) are a specialist international treasury company providing treasury management, systems, consultancy and training to a diverse global client base. Their clients are corporates, banks and public sector treasuries – all entities where treasury is critical to the overall business. Their clients come to them because of their in-depth treasury expertise, customised solutions and a real commitment to add value. FTI run mission critical systems for their customers and as a result required a bullet-proof redundant infrastructure with hot site standby capabilities in the event of system failure. As FTI continued to experience rapid growth high availability and performance were vital to its continued success. The goal for the company was to exceed the expectations of its customers 24/7. FTI needed a server and storage infrastructure that could adapt to the demands of the business as more customers were brought on-board. FTI required a solution that offered the highest service level agreements (SLAs) around availability providing them with the ability to scale while still meeting the required performance and availability parameters. They employed the services of the ERS infrastructure professional services team because of their extensive experience in this area. ERS deployed the DELL AppAsure replication solution which was configured to replicate the complete FTI infrastructure locally and then offsite to a redundant co-location facility. AppAssure is a highly advanced data protection solution that unifies backup, replication and recovery into one software solution and is designed for virtual, physical and cloud environments. The co-location servers then create ‘hot standby servers’ that can be spun up in the event of a serious system outage or DR event. ERS also provided FTI with offsite ‘Hot-Desk Services’ at our premises in Blanchardstown where we maintain a selection of network attached devices to enable users to relocate and connect into their standby servers should the need arise. Through the infrastructure upgrade implementation, FTI has enhanced the performance, availability and support for its treasury applications significantly when compared with its previous infrastructure. The deployment has also enabled the business to grow in line with targets and enabled them to deliver improved services for its growing customer base.